VKF, VKX and VKN Immersion type multistage centrifugal pump. VKF, VKX and VKN is non-self priming multi-stage centrifugal pump installed with standard motor. 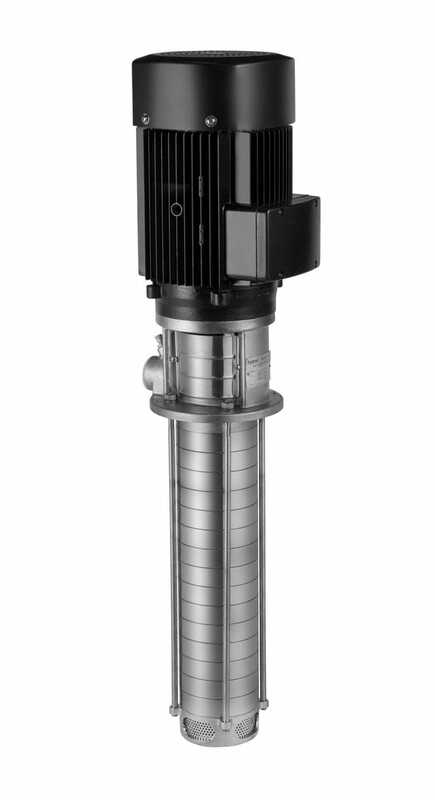 The motor shaft is directly connected with the pump shaft through coupling. According to the requirement, the pump can be equipped with intelligent protector, which effectively protects pump from dry rotation, phase lack, overload etc. In order to meet the requirement of installation depth of the water tank or vessel, it is possible to install cavity body for changing length of the pump. Length for different number of stages is shown in the dimensions & weight table and the table of products supply scope. VKF, VKX and VKN is used for conveying cooling liquid, lubricating liquid and condensation water of machine tools, industrial cleaning equipment or other cases that application of immerged pump is suitable, and is applicable to various temperature, flow and pressure ranges. VKDROO pumps are applicable to low-corrosive liquid. Concretely, it is applicable to electric spark, lathe, grinding machine, processing center, cooling devices, industrial cleaning equipment, filtering system, etc.